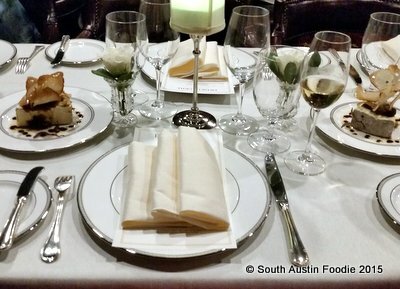 Last month, I attended a media dinner at the newly revamped Driskill Hotel. I hadn't been inside in a couple years, and from the updated lobby to the exquisite food, they've earned their high marks. Walking through the lobby and the bar leading to the restaurant just transports you back in time. Our evening at the Driskill Grill started with a cocktail reception in Chef Troy Knapp's private office, nestled under the eaves in the back of the kitchen. The current space is the byproduct of hotel expansion over the years, as what was a brick exterior wall is now interior. 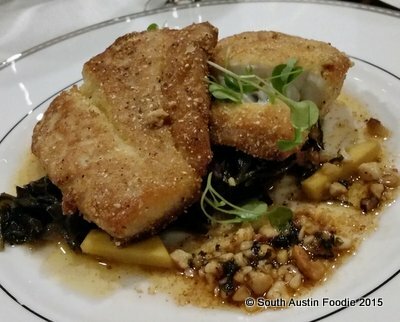 In his two years at the helm of the Driskill kitchen, Chef Knapp has been researching past menus and updating the current seasonal one with classic dishes, now locally sourced as much as possible. We were seated in one of the private areas in the main dining room, sectioned off by heavy curtains. Elegant white china plates with silver accents graced the tables, along with hearty pieces of a creamy blue cheese called Cambozola Black, which was drizzled with saba (made from grape must, similar to balsamic) and an onion jam. An excellent start! The next appetizer was soft shell crawfish, which I had never heard of! 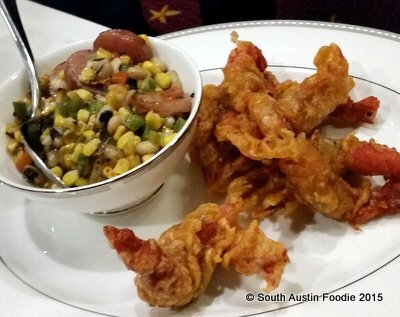 I love soft shell crab, and these crispy fritters were equally delicious, and served with a black eyed pea and corn side. Wild boar chops were next, followed by a delicate acorn squash bisque that has pumpkin seeds and a tiny drizzle of sage oil that really brought it all together. 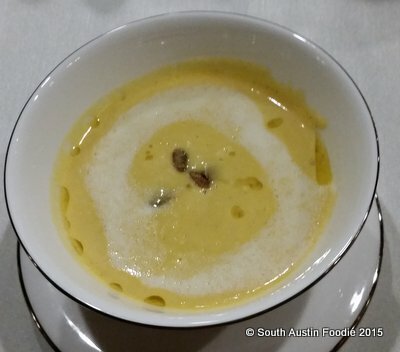 The bisque might have been my favorite on the evening. We also had a pear and pecan salad with pomegranate seeds. 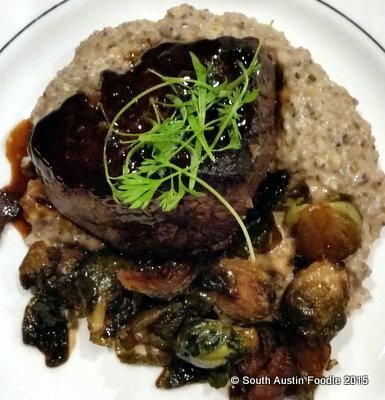 ....or dry aged filet mignon, with bacon and balsamic Brussels sprouts, blue corn grits and bordelaise (red wine) sauce. I got the steak, and loved it. The dry-aged filet was a perfect medium rare, and the creaminess from the grits and the lush sauce were the perfect accompaniments. 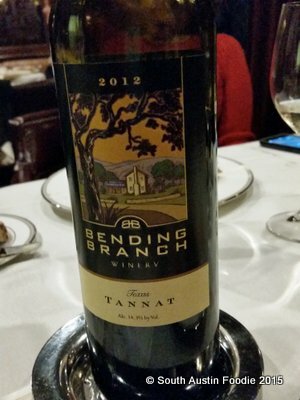 The steak was paired with Bending Brand Winery Tannat. I was not previously familiar with the vineyard or varietal before this dinner. I LOVED this nice big red, which is out of Comfort, Texas (due south of Fredericksburg on Interstate 10). Must make a field trip! For dessert, you had your choice between a chocolate terrine with butterscotch tapioca or an apple pie semi-freddo. The wine also went fabulously with this lusciously smooth mousse made from Valrhona chocolates. 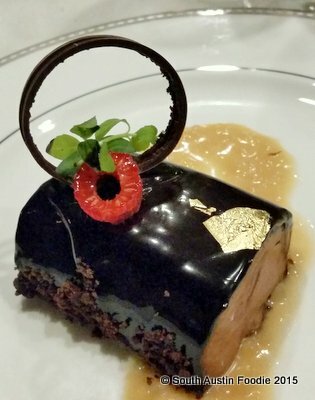 The desserts and the breads are the work of Pastry Chef Tony Sansalone, and from what we tasted tonight, his work is divine. I would call this a highly successful fall menu. 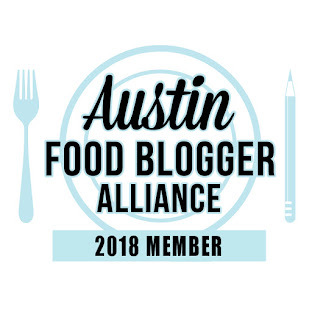 Diners can order a la carte, or Chef also prepares five and seven-course meals which at $79 and $89 per person, sounds like a steal. 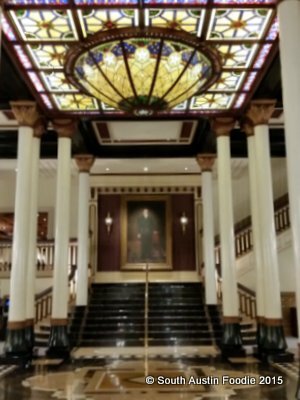 The Driskill Grill is also hosting dinner on Christmas Day from 3 - 7:30 pm, $125/person and on New Year's Eve, 5:30 - 10 pm, $125/person; reservations required. 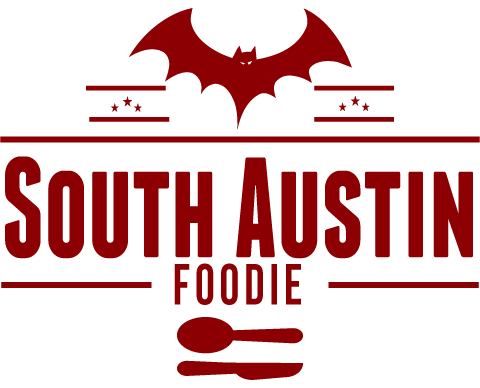 So go treat yourself to a meal in one of the most iconic spots in Austin!